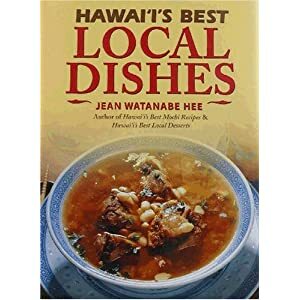 Order Hawaii's Best Local Dishes - These are the recipes passed on from friends, coworkers, and relatives; the local favorites that are found at potlucks and beach barbecues through the Islands. Cook green beans in a pot until tender, drain excess liquid/water. Add remaining ingredients, stir and serve! Very simple!